This time of year, I’m constantly needing to come up with dishes to bring to potluck dinners and parties. Thanks to my aunt Julie sharing this recipe with me, I have a super simple and delicious new dish to bring. 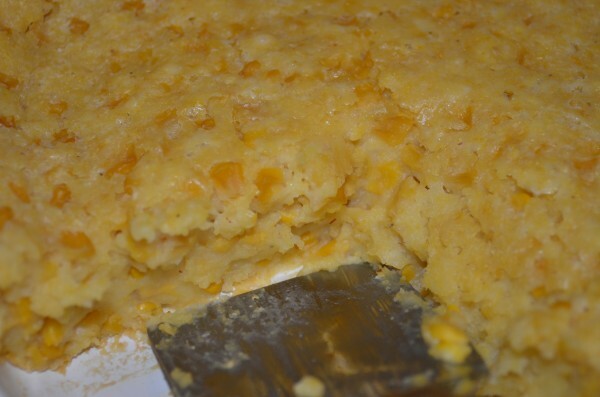 I really hope you try this recipe for corn casserole. I think you’ll enjoy it. 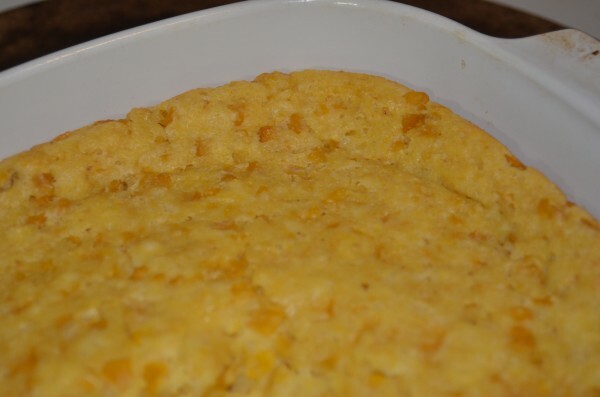 Pour into deep dish pie pan or 2-quart casserole dish.